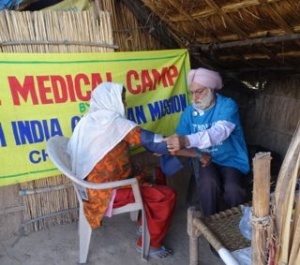 NICM brings clinics to out lying villages and slum areas where hundreds of poor, low caste people receive general treatment by our staff doctors. They are given vitamins, antibiotics or other medicines, and medical care as needed. mPower Approach from Louisville, KY brought a team to NICM and provided training to members of the staff who are now qualified to give basic dental treatment. NICM tries to conduct at least one medical clinic a week but often the resources are not available to purchase the needed supplies. A donation of $150 will cover the cost of one clinic where no less that 100 people will be served. 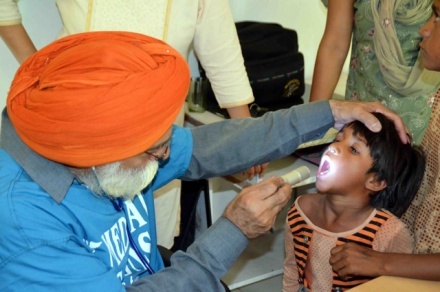 NICM welcomes medical groups to come on short term mission trips. We have many needs and would be blessed by your help. Contact NICM for more information.